*buy one pair of glasses at a regular, get one from our special collection free. *not to be combined with insurance or other offer. Squint no more! In simplest terms a polarized lens is a high tech sunglass filter that eliminates glare and allows light to pass through the lens in only one direction (like mini blinds). It also provides 100% UV protection for your eyes. Without doubt, it’s the lens of choice for driving, fishing, and skiing, golfing and all sunny outdoor activities. Photochromic lenses are lenses that are clear (or nearly clear) indoors and darken automatically when exposed to sunlight. The most popular brand of photochromic lenses sold in the United States are Transitions Lenses. Photochromic lenses are commonly referred to as "transitions lenses". But there are other brands of photochromic lenses available as well. The molecules responsible for causing photochromic lenses to darken are activated by the sun's ultraviolet radiation. Because UV rays penetrate clouds, photochromic lenses will darken on overcast days as well as sunny days. Photochromic lenses typically will not darken inside a vehicle because the windshield glass blocks most UV rays. Recent advancements in technology allow some photochromic lenses to activate with both UV and visible light, providing some darkening behind the windshield. Ask your optician for details. 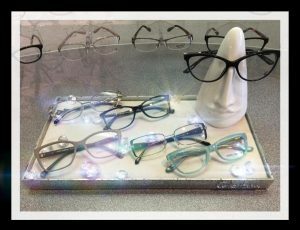 Customized progressive lenses: These progressive lenses are the first lenses to be designed specifically and uniquely for each individual wearer. We will measure your head and eye measurements and Rx parameters and design completely customized progressive lenses just for you. Here at Ritz EyeCare we use Varilux and Unity Products. They are the strongest of all the optical lenses, these are recommended by the FDA for sports and safety and work best with most rimless frame styles. 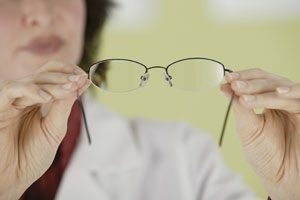 Hi-Index Lenses: These thin lenses come in wide range of choices – especially for strong prescriptions but all are basically flatter front base curves, resulting in thinner lighter lenses. 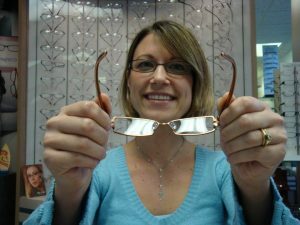 They offer superior optics and can be easily used when rimless and thinner metal frames are being worn. Think about your lifestyle needs and ask if these are missing from your wardrobe.